If you don’t already know, the State of Washington has two budget proposals on the table that will increase the excise tax on craft beer. These taxes will cause undue harm to Washington craft brewers. 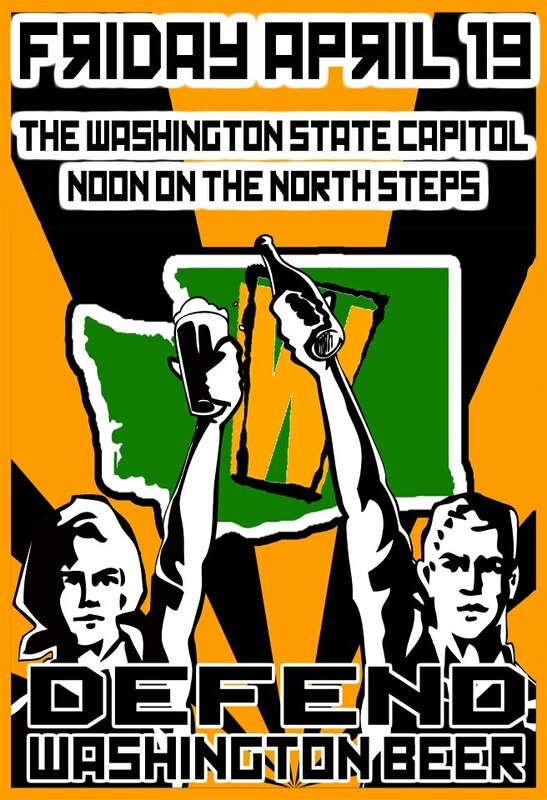 This Friday, April 19th, Washington craft beer lovers will converge in Olympia to urge our state politicians that they should support our local, small business, craft brewers, and not increase their taxes. I encourage you to join us. Kendall over at WashingtonBeerBlog.com has been doing an excellent job of covering this. I encourage you to head on over and checkout his many posts on the subject. Here is a link to one. Roger, from Georgetown Brewing, posted one of the best responses I’ve seen on the subject. Check it out here. ← Aloha from Maui Brewing Co.